Primitivo "Tibo" Mijares was Ferdinand Marcos's prized "media czar" and chief propagandist until his defection in 1975. In 1972, Tibo moved to the Marcos-controlled Daily Express and assumed the presidency of the National Press Club of the Philippines and chairperson of the Media Advisory Council, effectively becoming-in his own words-"the sole conduit between the military government and the practicing media." In 1975, Tibo defected. He knew too much and so informed a Congressional Committee in the United States, in June 1975. 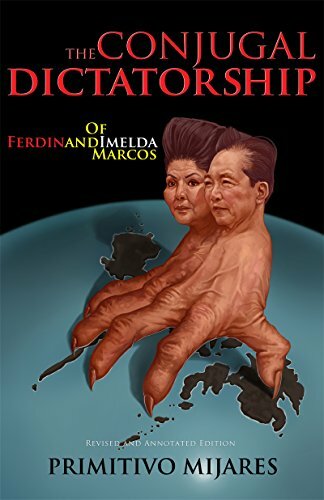 Despite Marcos's efforts to stop its publication, The Conjugal Dictatorship was published in 1976. A year after the publication of the book, Tibo was never heard from again and was declared legally dead years later. Tibo's youngest son, Luis Manuel, was abducted, tortured, and later found murdered and mutilated in 1977, as a result of the publication of The Conjugal Dictatorship. He was 16 years old.